What are the most significant advances in precision medicine over the past five years? 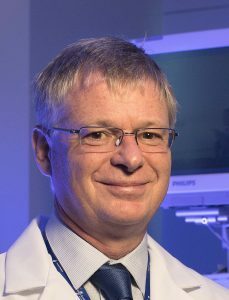 Whole genomic sequencing and whole exome sequencing are eliminating the phenomenon of the diagnostic odyssey for rare genetic disease: It’s realistic today to have a genome or exome test ordered at first subspecialist outpatient visit and to have a diagnosis by the time of the second visit. This is clearly the most powerful diagnostic tool ever developed for the millions of children with rare diseases. The overwhelming anxiety, frustration, desperation, cost and depression associated with visiting subspecialist after subspecialist and hospital after hospital without an answer and while a child’s condition progresses should be things of the past in 2020. For seriously ill children who are hospitalized in intensive care units, the most significant advance has been ultra-rapid whole genome sequencing. It’s routinely possible now to examine nearly every genetic disease and either make a diagnosis or rule out a genetic disease, in 36 hours. That’s fast enough to guide weighty management decisions in even the most seriously ill children. It is transforming intensive care medicine from empiric treatment of clinically diagnosed conditions to precise treatment of molecularly diagnosed diseases. Data on the improvement in outcomes, decrease in length of hospital stay, and parent and physician satisfaction are remarkable. Where rapid whole genome sequencing is absolutely transformative is in seriously ill children in whom a genetic disease was not suspected at test order. Those children were, with the best intentions in the world, being treated for the wrong diagnosis. In 2020, that does not need to happen any more. Earlier diagnosis equips doctors with molecularly-informed interventions that can minimize suffering and provide families with answers and hope. This is transforming the practice of neonatal and pediatric intensive care. How has your work supported these advances? 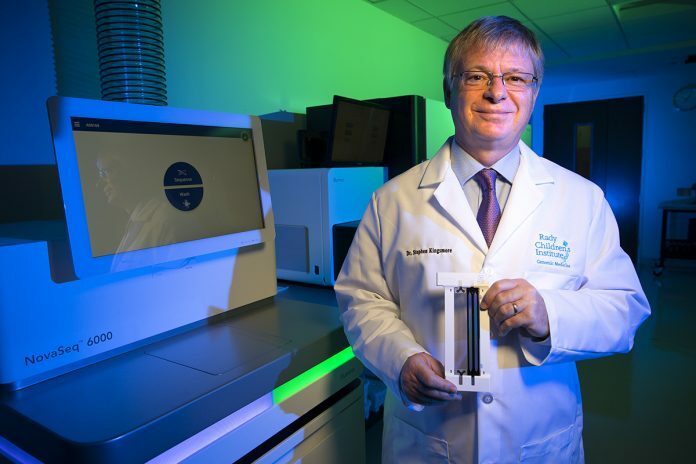 For the last four years, Rady Children’s Institute has had a single focus – implementation of ultra-rapid whole genome sequencing at a scale of thousands per year. In February 2018, we set a world speed record –19 hours—for fastest genetic diagnosis. This year, we’ve started applying implementation science and hospital quality improvement principles to the entire precision medicine experience for infants in intensive care units. That means re-engineering every step from ascertainment of infants who need a genome, all the way to ensuring that physicians and parents understand both genome reports and that precision medicine interventions can occur in real world clinical practice. This means integrating process engineering into the design, operation, control, optimization and scalability of whole genome sequencing. Even more importantly it means doing the same on the front end of test ordering and consent, and the back end of ensuring reports are understood and are translated into changes in medical management. It also means documenting everything and continually measuring performance. Over the past three years we’ve gone from seeking to meet the needs of a single children’s hospital – Rady Children’s Hospital-San Diego – to 16 children’s hospitals across the United States. And we’ve gone from 100 percent research protocols to routine clinical operations. Most notably, we are running a state-sponsored demonstration program, Project Baby Bear, implementing rapid whole genome sequencing in for MediCal-enrolled infants in intensive care units at five California children’s hospitals. The statistics are compelling. In 720 infants in intensive care units tested so far, one in three received a genetic disease diagnosis, and in about another third we are able to exclude genetic disease as the cause of illness. One in four infants has a change in care as a result of rapid whole genome sequencing. One in five has a change in outcome. By collaborating with children’s hospitals nationwide we are starting to learn lessons that will further increase the clinical and economic effectiveness of WGS. What are the biggest challenges and/or opportunities that lie ahead? There are a couple of major barriers that must be overcome. First, we’re in a situation where we’ve invented a new way of practicing medicine that’s not yet taught in medical schools. To bridge the gap, we are creating a multi-tiered learning network to train physicians and nurses – particularly pediatricians in intensive care units – in understanding genomics and how to apply precision medicine. Since this is a new medical science, we are still learning how to optimally manage seriously ill infants on a case-by-case basis, and working to make this a generalizable, national, scalable practice. Another obstacle is the lack of insurance coverage for genomic medicine. We are engaging payors to understand their concerns and continuing to perform clinical studies to build further evidence for the power that genomic sequencing offers to save lives and lower healthcare costs. One study our team published last year in npj Genomic Medicine showed rapid whole-genome sequencing increased the rate of clinical utility to 31% compared with 2% for standard genetic tests. In six of the infants diagnosed in this study, the changes in care management reduced inpatient costs by $800,000 to $2 million. What is your vision for the future of precision medicine? Our vision is that, in the next few years, ultra-rapid whole genome sequencing will become a first-tier diagnostic test for infants and children hospitalized in intensive care units with diseases of unknown etiology. We are very optimistic that we’ll see medical reimbursement of whole genome sequencing. More importantly, our vision is to see a decline in infant mortality within the next five years, as children in intensive care units receive timely precision medicine. In order to accomplish this, our goal is to develop a scalable solution where neonatal specialists working 24-hour hospital shifts will have the advantage to receive same-day results, and the support tools to enable immediate implementation of personalized treatment at every NICU and PICU.